In December, I blogged about how modern scientists are rediscovering the use of copper to kill germs. This week I’m interested in reports of a new antibiotic, one that doesn’t seem to induce resistance. We know that the overuse of antibiotics in modern medicine and factory farming has allowed bad bugs to evolve into badder, nastier, and often untreatable pathogens. For decades researchers raced to keep ahead of them by cultivating newer and stronger antimicrobials, but until now the bugs have been winning. The latest weapon in the medical armamentarium comes from dirt. What is it about mud and dirt? The Russian novelist Gogol reports that peasants used warm dirt on wounds. It’s not surprising, then, that most modern antibiotics have been cultivated in the lab from soil bacteria. 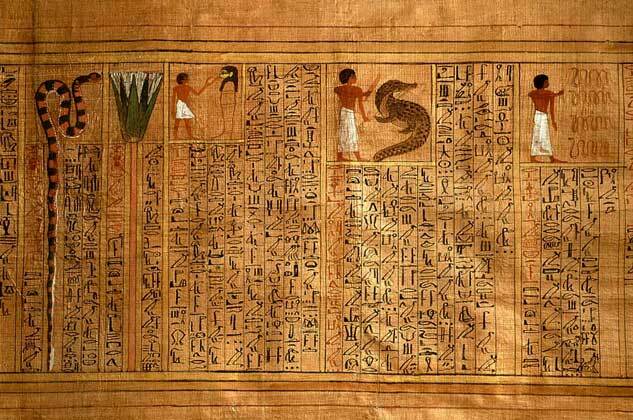 The ancient Egyptians used Nile mud on certain lesions. Nile mud, as it happens, contains aureomycin. The latest weapon has been dubbed teixobactin. It kills bad bugs very efficiently—though it’s only been tested in mice, so far—by a mechanism that germs seem unable to resist. “I don’t know all these words,” Tamar said. Send me! Oh please send me! Tamar forced a smile. “Very kind of them.” Mama always said want only what you can get. Only rich people get to go to Egypt. And sailors, men with strong arms to pull oars. “Me? Tamar squeaked. “Why choose me?” This was real, not a fantasy, and an honor beyond her previous imagining. “The other girls have been here lots longer.” Oh, please don’t let them be jealous. No Evil Eye! I like the way you are able to incorporate the culture and the science of these ancient times into a readable and entertaining work of fiction.